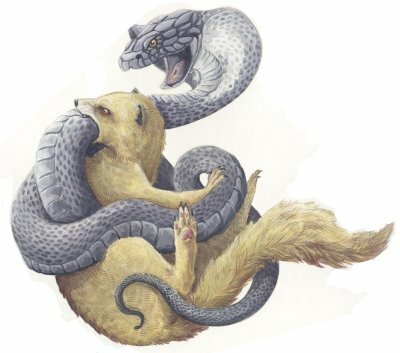 The Thai Rikki-Tikki-Tavi | Ethology Institute | Roger Abrantes | Read Now! We all know Rikki-Tikki-Tavi, the brave mongoose from Kipling’s ‘The Jungle book.’ This is the story of Mah Noy, the brave dog from Koh Lanta Yai in Southern Thai. Koh Lanta Yai (เกาะลันตา) remains one of Thailand’s well-kept secrets (I shouldn’t even reveal the name). It is relatively close to the better-known islands of Koh Phuket and Koh Phi Phi, but is practically inaccessible, requiring two flights, a long drive, and two ferry trips. Tourists are few and far between on this particular South Andaman island and it is virtually devoid of Western influence, except for a few resorts for those who want a taste of unspoiled paradise. Koh Lanta Yai is the biggest of 52 islands of which only 12 are inhabited. Of course, it’s much easier for me to get to Koh Lanta, as I am resident on a neighboring island only 43.5 nautical miles away. The beaches of Koh Lanta are idyllic: the sand unsullied the water clear and warm (about 86-88º F) and the underwater world along the coral reef just breathtaking (although not literally, I’m happy to say). I always look forward to my diving assignments nearby, drifting above the Staghorn and the Anemone corals monitoring the various species’ fortunes. What a great job! 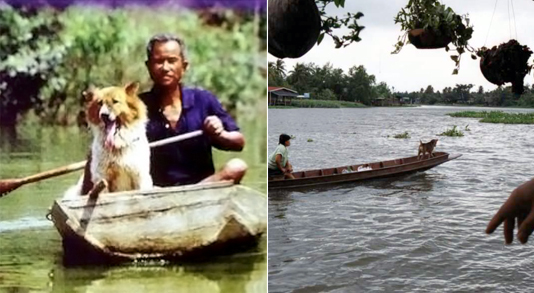 Thai fisherman like to have their dogs with them for company and practical purposes. When I’m working in Koh Lanta, I always go ashore in the evening and stay in modest accommodation right on the beach. On one of these occasions, just before sunset, I was sitting in front of my bungalow, cleaning my equipment, when two children came along to talk to me, as always, curious about foreigners. I had seen them both before; they belong to the food booth where I often eat, just behind the bungalow. We talked about the sea and the fish and about my diving gear, which of course fascinates them. After having washed my gear, I decided to walk the 30 yards up the cliff to grab something to eat, and the kids followed me. My Thai is not as good as I would like, but my inadequacies have their advantages. As it is so difficult to pronounce words correctly, I nearly always commit embarrassing mistakes that produce a great deal of giggling—and giggling is the best way I know to decrease distance between strangers. 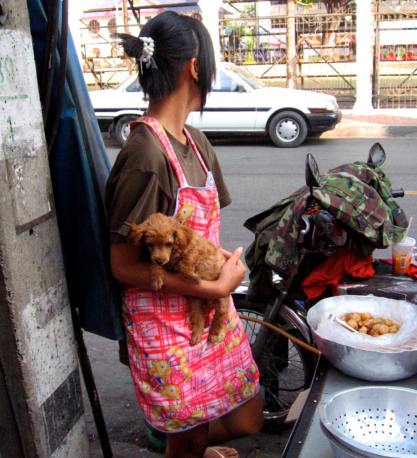 Thai street food cooking and selling is a small family business and since dogs are part of the daily life in Thailand it is not unusual to see them with their owners at work. “Khun cheu aria?” (What’s your name? ), I asked the little boy who was giggling the most and who happened to have one of his front teeth missing. He told me his name, which sounded funny to me. Thais have all sorts of interesting nicknames, and they are especially fond of animal names. Elephant, shrimp, crab, fish, bird, duck, rabbit, turtle, and even chicken are common names—but I’ve never heard a nickname like this little boy’s. It was then that his mother, Poo (Crab), the owner of the food booth, told me the story. Five years earlier, two days after giving birth to the now gap-toothed boy, Poo was cooking dinner whilst the family dog catnapped behind the cradle where her newborn baby was happily babbling away to himself. Thais usually cook outdoors. It’s always warm and they don’t like the smell of food indoors. 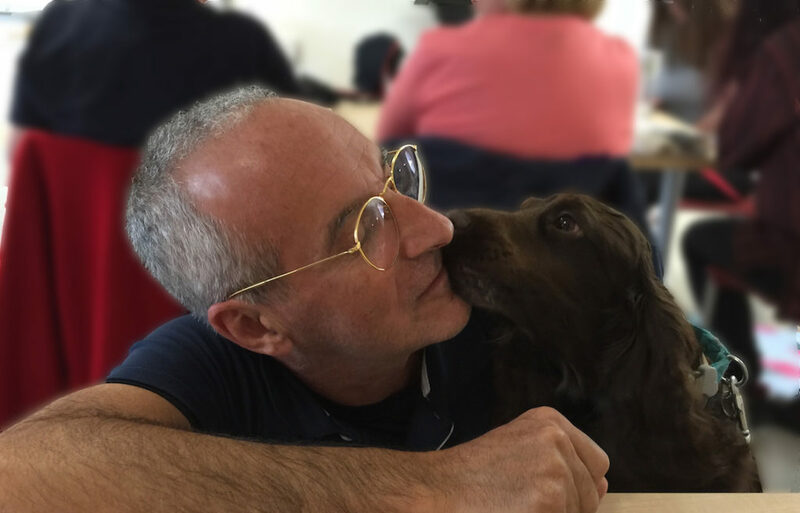 The dog was typically Thai, of unknown origin, the size of a small spaniel, with an unruly black and white coat, and friendly, deep brown eyes. They had found him on the street a couple of years beforehand and had fed him. For want of a better name, they called him just (หมาน้อย), Mah Noy. He stayed around and finally moved in a couple of weeks later after conquering their hearts. 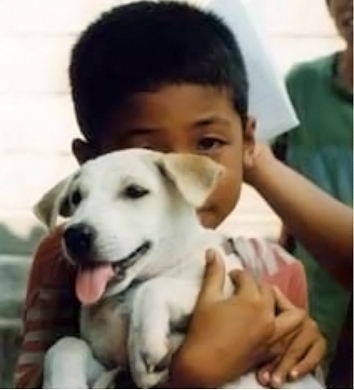 The pressure of natural selection for dogs in Thailand is on kindness. 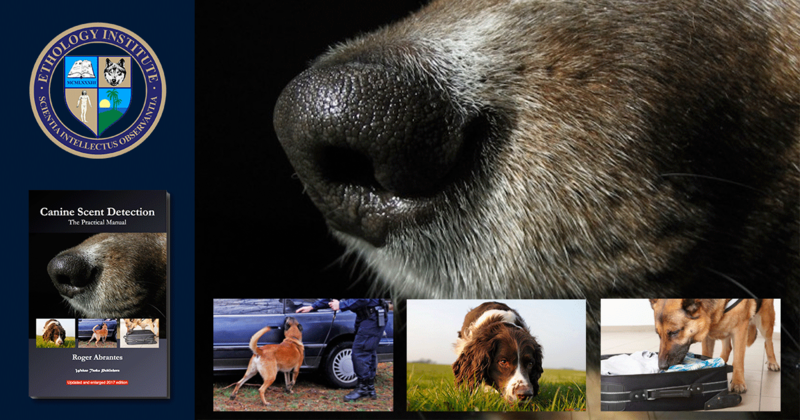 The kindest dogs have a greater chance of survival and pass on their ‘kinder’ genes to their progeny. On that particular day, Mah Noy gave Poo such a fright she almost lost hold of her hot pan, which could have resulted in serious burns. The dog had suddenly emitted a deep growl and then in two agile, determined jumps, just missing the baby’s cradle, he launched himself on top of a cobra, biting it firmly behind the head. Mah Noy (หมาน้อย), the boy, got his unusual name for a good reason. The Andaman Cobra (Naja sagittifera) is an impressive snake, measuring about three to four feet in length. The effects of its venom are devastating; it is capable of killing a human in 30 minutes. Poo was terrified, rushed to pick up the baby, and ran out of the front gate into the street where she began shouting for her husband. Na (short for Chai Cha Na = victory) came running to the scene and charged into the backyard to grab a spade. The cobra was lying a few feet from the dog, apparently lifeless, but, just in case, Na cut it in two with a well-aimed strike with the spade. Mah Noy looked up at him, gasping for air, and barely able to wag the tip of his bushy tail. Na understood right away that the dog was dying, picked him up and, holding his dog firmly on his lap with one hand, he rode his motorbike as quickly as he could to the local vet. On the way to the vet, Mah Noy peed and pooped on his lap. Na stopped to get a better grasp on the dog. Mah Noy looked at him, gasped for air for a last time and gave a final wag of his tail. Na understood it was too late for the vet and the strong fisherman from the South Andaman Sea began to weep like a child, right there on the side of the road to Klong Dao, in the fading light of the day on which he had come so close to losing his first-born baby boy. 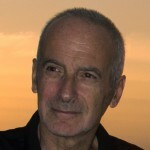 Born in Portugal, a citizen of the World. Ph.D. in Evolutionary Biology, B.A. in Philosophy. Speaks seven languages. Present work: lecturing on Ethology and sailing and diving in Thailand (marine biology environmental management).